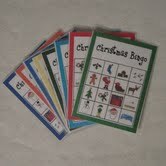 I create flannel board stories, felt books, and games for children using my own original artwork. 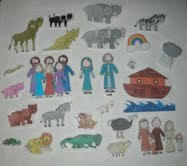 I have a wide selection of Fables, Fairytales, Songs, Rhymes, and Scripture Stories. I also sell two sizes of flannel boards for these stories to be displayed on.